Debbie has been showing property and getting listings while Don has been fishing in Mexico with his old San Diego friends. He will be back this week and Debbie will get payback with the growing “Honey DO” list around the house and office. 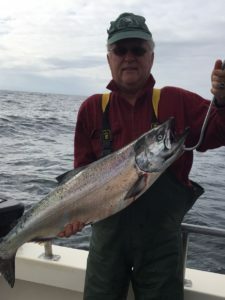 Thankfully Don is bringing back lots of fish which makes his week away worth it. We had a bunch of escrows close last week so our listing supply is depleted so that will be our main focus for the beginning of July. School is out and there is lots of traveling taking place so stop by the office in Jacksonville….right as you come in to town by the Gas Station or stop at our Applegate Valley Office in the Ruch Shopping center. We are open everyday except Sunday but to be sure we are there……we have appointments and listings all over the area…..call to make an appt.